Deer are cute, but these scavengers can wreak some serious havoc on your trees in the winter time. When observing the activity going on outdoors during this part of the year, one might be reminded of that line from The Night Before Christmas: “Not a creature was stirring, not even a mouse.” It does seem as though wildlife activity decreases significantly during the winter with most of the birds heading south and the bears hibernating. But, in fact, there are two scavengers still roaming the wilderness that can ruin your trees without you even realizing it. 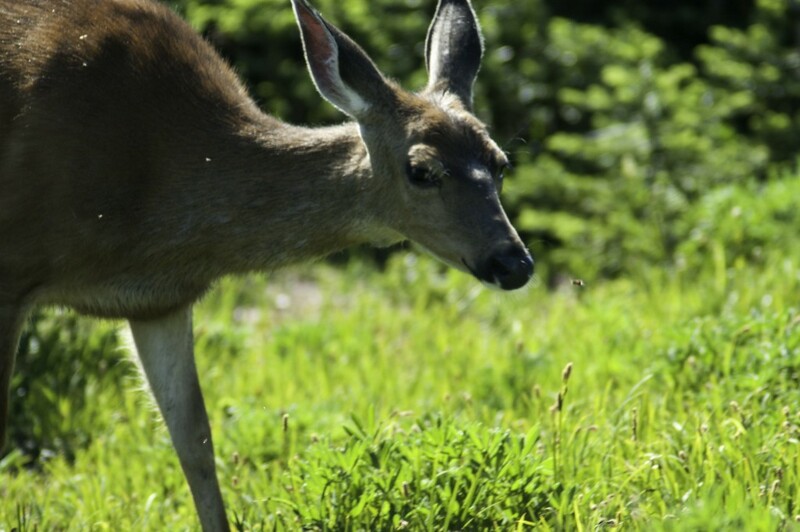 Today, we’re going to discuss these two creatures – voles and deer. Voles resemble moles with smaller feet. These scavengers are small creatures, but they have the ability to do significant, irreversible damage to your trees. They can create 1-2 inch surface runways underneath the snow, feeding on grasses and gnawing on the bark of small trees. And if their regular food supply runs low, they may begin scavenging root flares and the bark of mature trees. To prevent voles from attacking your trees, you should border their bases with wire mesh 3 to 6 inches below the soil line to a minimum of 18 inches above the surface. Deer are more noticeable than voles owing to their larger size, but they can also cause minor to significant damage to your trees. They are the true definition of the word “scavengers” – they will eat almost anything they can find in your lawn. They can come up and graze on your trees, which may not do too much damage. But mature deer can also rub their antlers on tree bark which can result in permanent wounding. Feeding deer makes them tamer, so identifying and eliminating potential food sources is the best way to prevent them from coming into your lawn. Alternatively, you can use hardwire mesh or deer repellent to protect your trees from their approach. Call Nelson Tree Specialist for Specialty Tree Services! This entry was posted on Tuesday, December 20th, 2016 at 3:57 pm. Both comments and pings are currently closed.